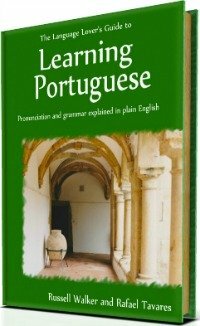 Do you want to know how to learn Portuguese? 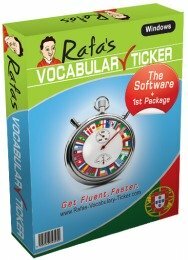 Do you want to speak Portuguese effectively? By understanding the way your brain works, you get to know how to learn Portuguese! Destroy the psychological barriers first! Before you speak European or Brazilian Portuguese (or any other foreign language), you must understand and prepare your mind. You need to understand the way your brain works. Click here to learn suggestions about how to learn Portuguese. Having said that, you consequently need to be aware of the difference between two vital concepts: What language learning and what language acquisition are. Learning a language is the conscious study of a foreign language - the language rules. What you need to know to build a sentence. On the other hand, acquiring a language refers to acquiring one’s mother tongue as a child, or a second language abroad surrounded by native speakers – which is the case of immigrants. Acquiring a language basically aims to get our needs satisfied. When children are hungry and their mum approaches them with food, mummy might say “papa for my baby”. By dint of repetition, children acquire the word “papa” because they know that every time they say “papa”, mummy is coming with food, which means, the baby is getting his/her needs satisfied. The same applies to immigrant adults. You may have noticed that many immigrants know what to say when they go to the shop and buy something, but outside a certain number of circumstances, they are unable to sustain a conversation. Why? Probably because they didn't know how to learn languages, or in this case, how to learn Portuguese. In case you are wondering which one you will use (acquire or learn Portuguese) in your process of understanding how to learn Portuguese, I can tell you that you will be using both processes. There is language (or in other words, ways of speaking) that you build yourself in sentences. But there are also other kinds of language that you need to accept the way they are (made-up sentences, for instance), because they will satisfy your immediate needs. In this last case you just have to use a particular word or phrase already made in the appropriate context and at the right time. "it's raining like there's no tomorrow"
You could probably also say, “it’s raining cats and dogs”. You see, cats and dogs do not have anything to do with rain, but you just know that this is the right thing to say when it’s raining heavily. Your award for having said that to someone is the satisfaction that others accept your conversation and engage with you, isn't it? By the way, the way you'd say that in European Portuguese would be "Está a chover a potes" and in Brazilian Portuguese would be "Está chovendo a cântaros". But my point is that by being aware of all these factors, you'll be more clarified when trying to know how to speak Portuguese. I aim to present to you a method and suggestions which will help you understand how to learn Portuguese as an adult but, at the same time, it will make you think you are learning like a child. By being aware of this you will ignore the negative aspects and give emphasis to the positive ones. This will help you learn to speak quicker. The other thing is: No matter how hard this may be for you to accept (as it was for me), I need to tell you that you mustn't learn a language without grammar, or, at least, without understanding some important grammatical concepts. Consciously or not you’ll be applying grammar rules to construct your sentences. 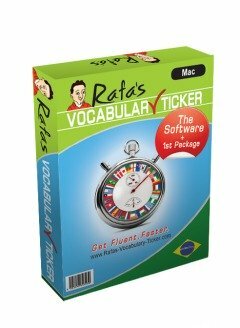 Knowing how to learn Portuguese is a secret and part of this secret is embedded in grammatical rules. Hey!!! Grammar is not that horrible book that kills those who read it. You know that! Grammar is only a group of rules that explains how a language is built, and with which you can learn quickly and confidently. Just remember, speaking a language (and knowing how to learn Portuguese) is like following rules in society. For instance you need to know that you cannot go to a shop and take home everything you want without paying. You have to respect rules to live in society, otherwise you’ll be arrested. The same happens with the grammar rules. If you know them and apply them, you’ll be in accordance with the language and everything will run smoothly. You'll know how to learn and how speak Portuguese properly. It's like you will be using the rules with which you can interact with society. If you refuse to use them, you will not only be making mistakes all the time, but it will also take you an incredible amount of time in order for you to build a sentence. In addition, you will always be in doubt wondering "Am I speaking correctly...?". However, I’m not saying that you need to become an expert in grammar. No way. What I’m saying is that you need, at least, to be able to distinguish different types of words. This is part of knowing how to learn Portuguese. Saying for instance “I drink a beer” is different from “the drink is beer”. The word “drink” happens to be the same in English to refer to the action – "to drink" – and the noun – "the drink". However this same word “drink” represents two different concepts. The word “drink” in the first sentence is a verb (a doing word) and in the second is a noun (object word). Therefore, if you don’t know the conceptual difference between them, you won’t be able to build a sentence in Portuguese because, in this particular case, I drink means "eu bebo" and the drink means "a bebida", in Portuguese. So you need to differentiate verbs (doing words) from nouns (for example, the “name” of anything). The same applies when you are aware of other categories of words. Let remind you: when you know this, you know how to learn Portuguese. I'll make sure all this will become simple for you to understand. All these little concepts will be explained and you’ll be amazed how this will help you learn. Learning a foreign language? Hmm… No! That's not for me! I can hear you groan! The time you pronounced a word wrong in French class and everyone laughed? The time you went to a foreign country armed with only a few phrases from a phrase book and quickly felt embarrassed/stuck when talking to the locals? That time you were in a bus/train and everyone was speaking a language you didn’t understand…and you felt that they were speaking too fast? Are luckier, because they grew up in a bilingual environment. It's in their genes – they have a flair for languages. Studied it at school, so they know it all already. They are highly motivated or simply weird. ...how extensive could this list be? In fact, no matter how bad you have been at languages at school, how frustrated you became, how embarrassed you felt when you needed to speak Portuguese, you can learn it and speak it confidently and successfully. Many books, CDs, language methods and language schools are available for you to learn the language. You can certainly use them and learn a lot from them. Do they really teach you to say what you really want to say? Do you really know how to use them properly? Do they really teach you how to say what you want, the way you want to say it? Do they give you the confidence and motivation you need? Do they really teach you how to learn Portuguese with the actual words you need to communicate? Do you really use these materials as often as you need to? Well, we all know that the answer is likely to be'No'. We all know that many methods, CDs, and even teachers just teach you what to say in a specific way. However, you may need to collect what they teach you and create your own way of learning. Everybody is different and the method and course that suits everyone's needs is still to be invented. Maybe in the future we'll have a micro-chip that you install in your brain and become fluent in a minute. But we are not there just yet. 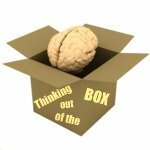 Indeed, success in speaking foreign languages begins with a critical and personal mindset shift. This means knowing how to learn a language, or how to learn Portuguese in this case. This also means learn, memorize and adapt those phrases that you initially learnt like a parrot, with the actual language – the language you create yourself, in accordance with your mood, your desires, your needs and your own self. All this comes when you know how to learn Portuguese, or how to learn any other foreign language. When you speak, when you communicate, you want to be understood, and understand, don't you? For instance if you want to find a good restaurant, you don’t want to go to just the nearest restaurant because the only sentence you know is, Por favor, há algum restaurante aqui perto? [Please, is there any restaurant near here?]. You want to have that meal you dreamed of for so long, so you need to describe the food of that restaurant. You want to taste that wine that you know is sold in that particular shop, so you need to speak their language. You want to buy those shoes from that particular store, so you need to ask the locals how you can get there... You know what you want, and the language should not be an obstacle for you to get what you want. Many programmes state loudly that, with their method, you will learn a language like you learnt your mother tongue when you were a child. To be honest, they could not be further from the truth! And research from top universities in the world has proved them wrong! I have done some of this research myself! You can also do your research and find out what Vygotsky or Chomsky say about this subject. As adults, we have different ways of learning. Kids learn the language that satisfy their needs, whereas adults learn what is meaningful for them. Besides, adults need to know where they are going, and what goals they can achieve in their learning process. Children don't! Adults’ ways of learning are different. I know that the way I’m saying this may sound a bit aggressive, or even a bit shocking, but I’m doing this on purpose! I’m doing this because I know it's possible for you to speak in Portuguese. I’m here to help you, because I know that knowing how to learn Portuguese is one of your aims. I’m here to make you speak the language without tricks or illusions! I'm here to be 100% honest with you. Once we know the truth we know how to deal with it. If you are still reading this, you might be, by now, mentally ready to learn Portuguese. You might be ready to face every single obstacle that comes to your way to success. Click here to read my practical suggestions about how to learn this wonderful language. And remember, the only way is up! The only way is forward, towards success, and, by being aware of how to learn Portuguese, you have just started to open your path to success. Please navigate through the various pages and links of this website and get yourself in to this exciting odyssey of how to learn Portuguese, and how to speak it confidently!